THE deconstruction of Essendon's Jake Carlisle as an elite footballer has been intriguing. The still developing 22-year-old was just a couple of standout games away from becoming an All-Australian key defender last season, but interim Bombers coach Mark Thompson has been hellbent on transforming him into a key forward. Thompson has resembled someone trying to bash a square peg into a round hole. In three successive losses to Fremantle, St Kilda and Collingwood, Carlisle has not kicked a single goal. So is it the coach's fault for taking a player away from his preferred position and trying to turn him into something he may not be, or the player's fault for not embracing the challenge and being more pliable like a Lachie Henderson or Ben Reid? While he may relent this week and send Carlisle back to join another failed forward, Michael Hurley, you can't blame Thompson for trying after being left bereft of options in attack. 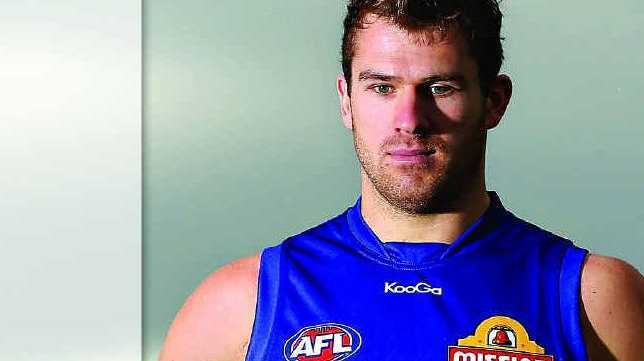 After Essendon traded out Josh Jenkins to Adelaide in 2011 and Angus Monfries to Port in 2012, last year Scott Gumbleton returned home to join Fremantle, and most significantly, 2012 and 2013 leading goalkicker Stewart Crameri defected to the Western Bulldogs, on a $400,000-a-year contract. The Bombers will come face to face with the man they would love to have back when they take on the Doggies tomorrow night. It may only serve as the entree to next Friday night's main course - Lance Franklin confronting Hawthorn for the first time as a Swan - but, thanks to last October's annual meat market providing the ingredients, round seven will be like an Indian platter … with plenty of spice. It all starts tonight when Carlton recruit Dale Thomas comes up against the side he helped lead to the 2010 premiership, Collingwood. Then tomorrow, one-time Crows pin-up Bernie Vince returns to Adelaide with Melbourne; and Hawk big man Ben McEvoy takes on the team he was once in line to skipper, St Kilda; before Crameri battles the Bombers. Bruce McAvaney, for one, must be licking his lips at the prospect of such a "delicious" round.